Home / Yoga / New to Yoga / History of Yoga / What Was Krishna’s Sadhana? Q: Namaskaram, Sadhguru. Did Krishna do any sadhana before his enlightenment? What brought him to such a state in his life? Sadhguru: For a human being to just live in joy and love every day, from the moment he wakes up in the morning till he falls asleep at night, is a tremendous sadhana. People smile when someone is around, but if you look at them when they are alone and feel unobserved, the kind of depressed face they make says everything about them. A great percentage of people are quite horrible by themselves. If you cannot be alone, it obviously means you are in bad company. If you were good company, it would be great to be alone. For a human being to just live in joy and love every day, from the moment he wakes up in the morning till he falls asleep at night, is a tremendous sadhana. Mixing with people is more like a festival, but being is always in aloneness. If you make yourself into a beautiful being, just to sit here is fantastic. To be loving every moment of your life – not only if a certain situation occurs, or if you see a certain person – if you are simply loving, indiscriminately, your intelligence blossoms in a completely different way. In making choices, intelligence gets crippled. To be loving is not a gift to someone else. It is a beautiful thing for yourself. It is the pleasantness of your system – your emotion, mind, and body naturally become pleasant. And there is substantial scientific evidence to prove today that only when your system is pleasant, your intelligence functions at its best. You will see, if your heart beats 60 times per minute when you are restful, you are in tune with the planet. It can go up and down during activity, but if you are above 60 in restfulness, you are a little lost. Most people are between 65 and 75 when they are healthy and well. If you do some simple yogic practices like Surya Namaskar and Shambhavi Mahamudra for about 18 months, for sure it will be 60 – you will be in tune. When you are in tune, being loving and joyful, being like a flower is natural, because that is how the being is made. This being is not made to be depressed and sick. It is made to flourish. This was Krishna’s sadhana – he was in perfect tune with life around him. This was Krishna’s sadhana – he was in perfect tune with life around him. No matter what kind of games he played as a child, he was in fabulous tune. The fact that everyone still loved him though he stole butter from people’s homes and pulled all kinds of pranks on them, means that somehow he got them in tune with himself. Only when you feel in tune with someone, you will feel pleasant in their presence. If you do not feel in tune, you will feel unpleasant if you just look at them. Both pleasantness and unpleasantness can happen with the same person. When you are in tune with that person and you look at him or her, there will be pleasantness. At times when you are not in tune, there will be unpleasantness – they don’t have to do anything wrong for that to happen. Until he was 22, he did intense spiritual sadhana. He also did weapon training and became a great wrestler. Krishna went and stood on a small hill that is known as Govardhan Hill. When he came down, he was not the boy he used to be. He went up the hill as a playful village boy and came down with a different gravity about himself. People looked at him in shock. They knew something phenomenal had happened, but however phenomenal it was, they knew they were going to lose him. When they looked at him, he still looked back at them smiling, but there was no love in his eyes – there was vision. He saw things that they could not even imagine. After the reminder, his first exploit was to kill his uncle Kamsa and end his tyranny over the Yadavas. Then he withdrew into the ashram of his Guru Sandipani, along with his brother Balarama and cousin Uddhava, and lived the life of a brahmachari for the next seven years. Until he was 22, he did intense spiritual sadhana. He also did weapon training and became a great wrestler. In spite of that, he did not become all muscle, like Arjuna and Bhima. Krishna remained gentle and tender because his sadhana was of a different dimension and nature. Sandipani designed it in such a way that it was largely internal. 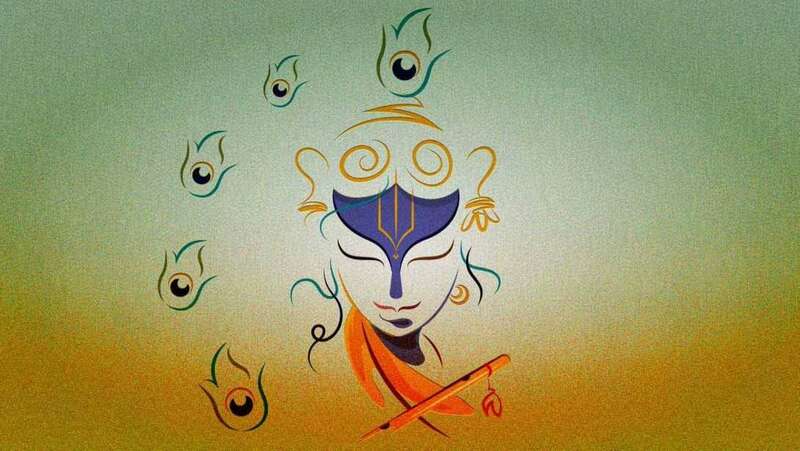 Since Krishna did not belong to Dwapara Yuga – he lived and acted like he belonged to Satya Yuga – everything happened on a mental level for him. Sandipani did not need to open his mouth to give an instruction. All was conveyed mentally; all was grasped mentally; all was attained mentally. Krishna did not become muscular because his sadhana was purely mental, and he displayed that in a million different ways in his life. When they came out of their sadhana, there was a distinct difference between Krishna and his brother. While Balarama became huge and muscular, Krishna physically remained the way he was. Balarama used to taunt him, “Maybe you did nothing. I have been working hard. I have become a great warrior. How come you still look like this?” But still, in the wrestling ring or an archery contest, no one could take on Krishna. As a swordsman, very few people could come anywhere near him. But he did not become muscular because his sadhana was purely mental, and he displayed that in a million different ways in his life. Editor’s Note: Watch the Leela series, where Sadhguru explores the life and path of Krishna.